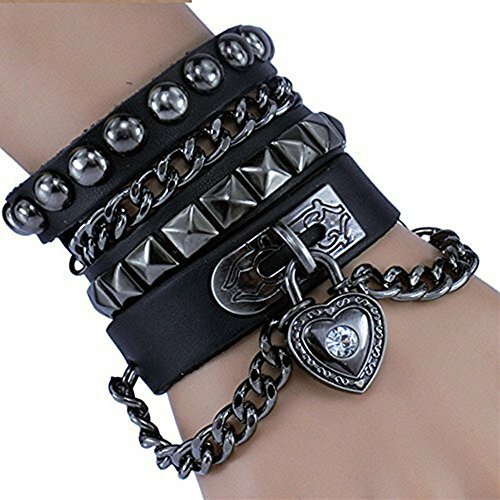 Mens Leather Wrap Bracelets Boho Braided Wood Bead Cuff Handmade Bracelet Set Black 4Pcs Gifts for Women LEATHER BRACELET:Handmade bracelet,punk and vintage style,simple and classic design for personal wearing. 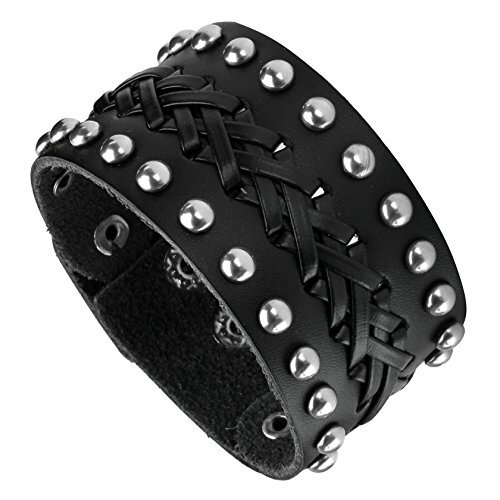 BRAIDED BRACELET:The Boho bracelet is made of durable leather and decorated with fashion elements,perfect for your daily outfit. 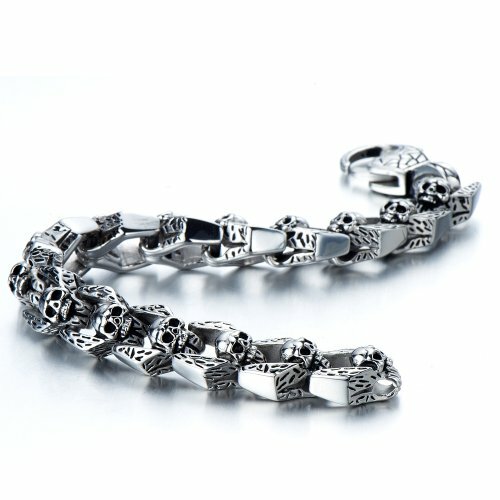 Approximate Dimensions: 2.40"W x 1.18"H x 0.31"D Materials: Fine English Pewter. 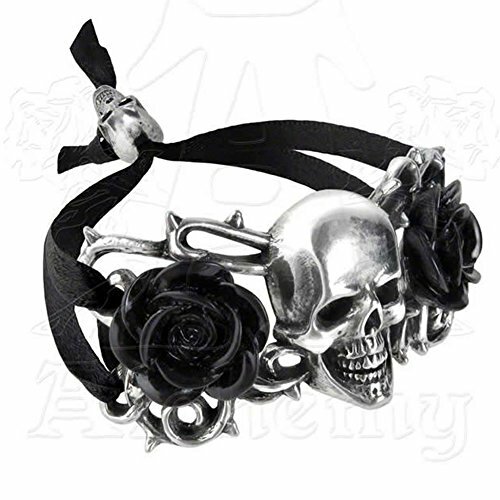 Sold as one size, adjustable. 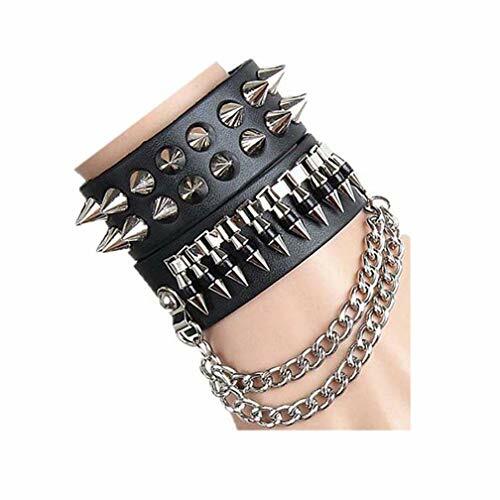 ♥ PUNK ROCK STYLE ♥ Black punk rock bracelet and heart collar choker set. Affordable price for 3PCS set, unisex style for both men and women to enjoy! 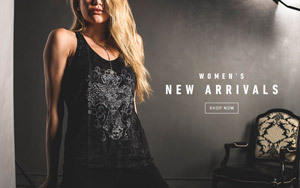 makes it perfect for those with bold personalities! 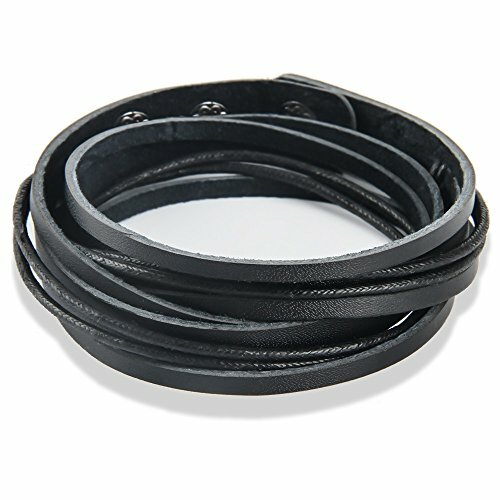 ♥ ADJUSTABLE LENGTH ♥ Adjustable length design, the choker is 13.5"~15" and bracelet is 7.5"~8.5".Made with quality leather, super smooth and comfortable, suitable for most people to wear, stylist and eye-catching. 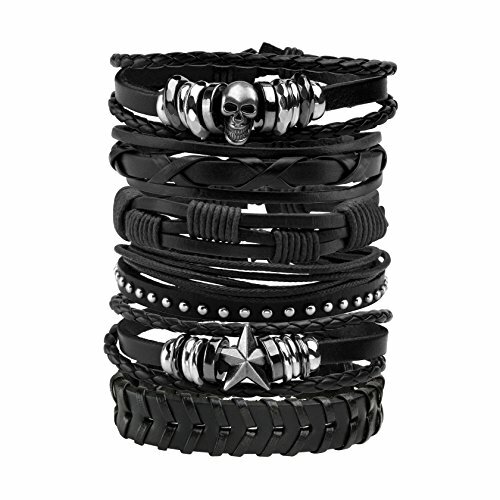 ♥ MATERIAL ♥ Made with alloy and quality leather, 100% handmade and 3-level quality control, more comfortable, more durable. 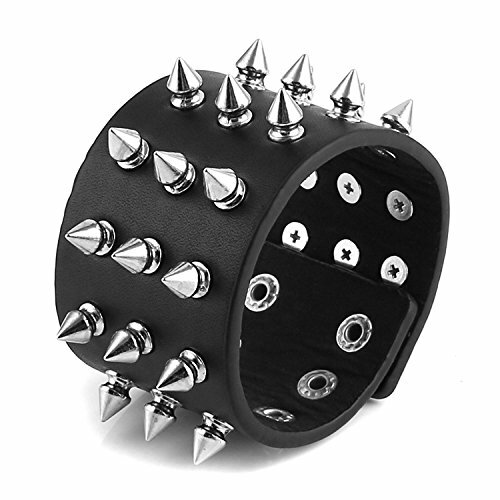 Punk Design: Punk rock style biker wide strap leather bracelet is prefect for men and women. 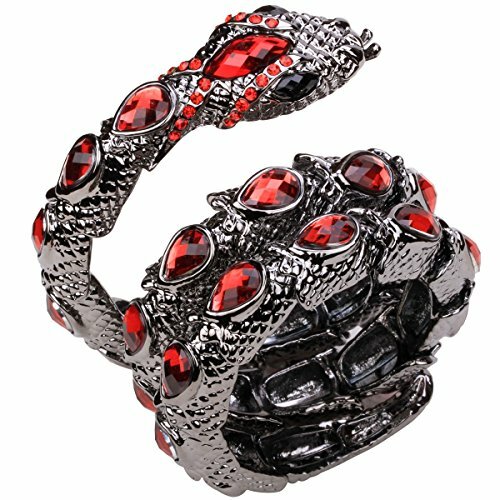 Quality Material: Made of handmade soft PU leather and alloy, this wide leather bracelet is durable and will not fade with usage. 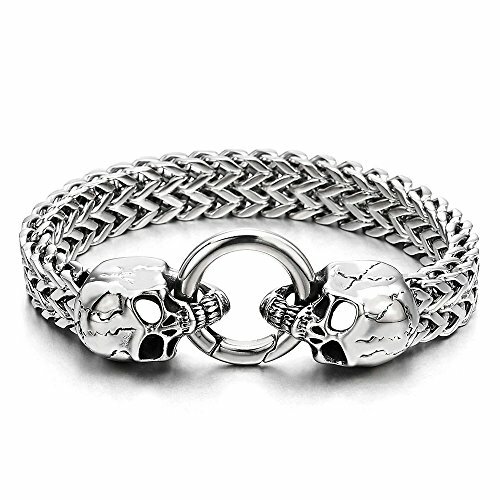 Classic Clasp: Classic snap button clasp design, secure clasp type, the wide bracelet is easy to put on or take off by yourself. 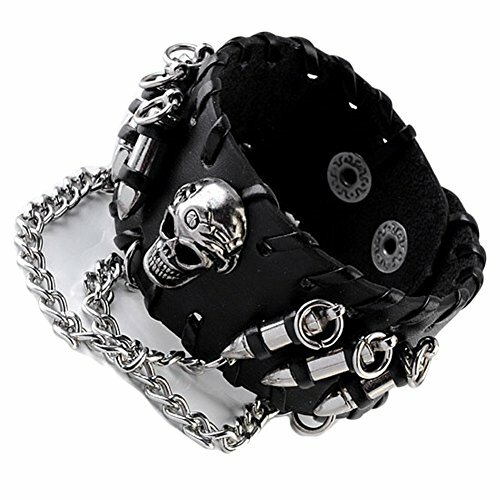 Material: alloy,Cotton,Acrylic Special Design And Unique Structure, A Popular Item. 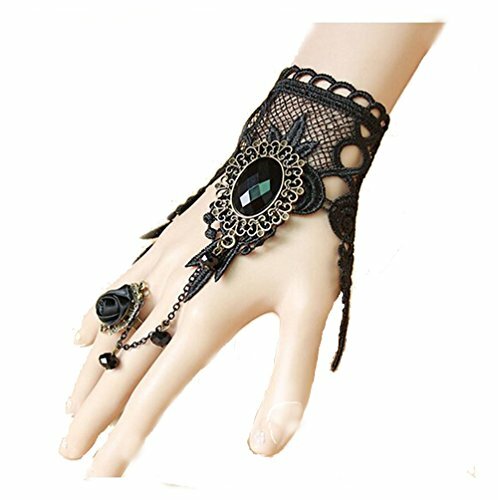 Catch This Beautiful Accessories For You. Match with suitable apparel for different occasion. Size: 7.5-9.5 inches adjustable length, fit for most of people. 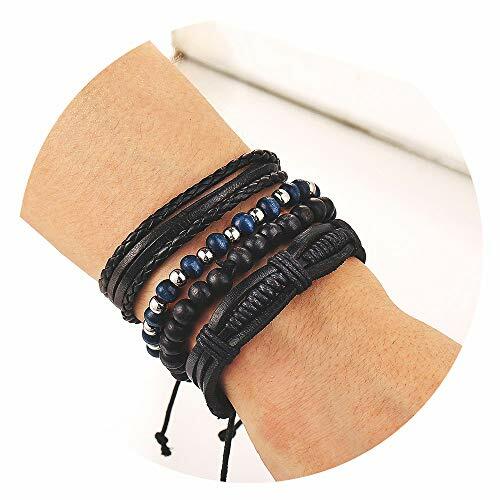 Material: High quality hemp cords, braided leather and wooden beads bracelet, soft and comfortable to wear. Retro Style: Simple and classic design for personal wearing, such as punk, vintage, religious, rock band, party, travelling, daily casual wear, etc. 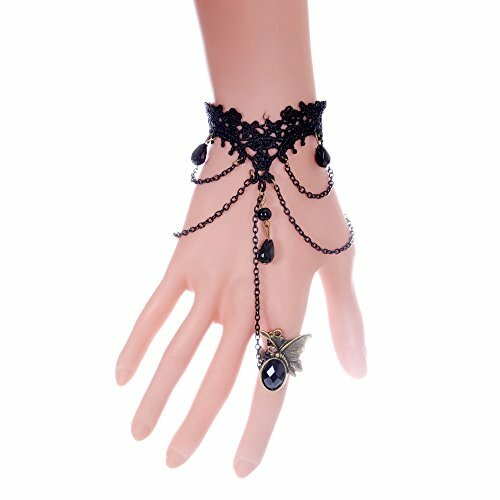 Material:Lace + Alloy Bracelet size as the pic show and 2.75" extension chain length, you could adjust size as your need It has a wonderful look if you want either a gothic, steampunk or victorian appearance.